File photo, NSW Ambulance Service. The weekend has ended in heartache for the family and friends of a man killed on the Monaro Highway at Nimmitabel this afternoon (April 14). 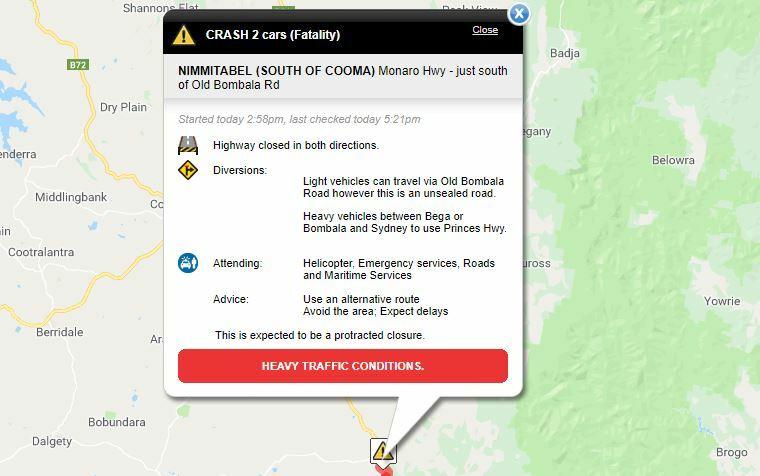 Monaro police report that at about 2.40 pm, two vehicles collided head-on, with the male driver of one car dead at the scene. His male passenger was injured and has been taken to Cooma Hospital in stable condition. 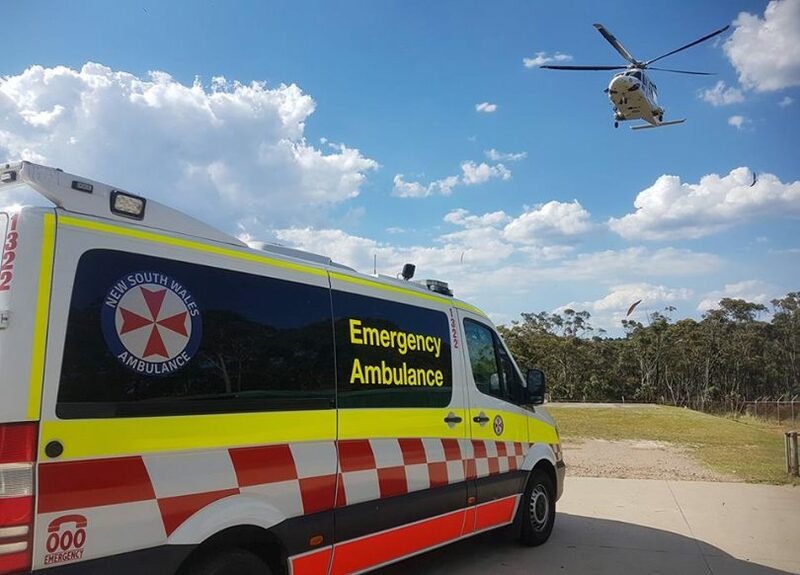 The driver and passenger of the other vehicle, both men, were trapped and have received serious injuries, both have been flown to Canberra Hospital. Officers from Monaro Police District are on scene conducting inquiries, the highway is expected to be closed for about six hours (as at 5 pm). To stay up to date with road closures and conditions visit Live Traffic NSW. Photo: Live Traffic NSW as at 5:40 pm, April 14. Anyone with information about this incident is urged to contact police via Crime Stoppers – 1800 333 000.